Fujisaki Girls Academy, commonly known as "Fujijo," is famous for being attended by distinguished young ladies. In the student council room of this prestigious middle school, a certain "study group" outside of the room's actual purpose is conducted day and night. Stubborn, righteous, and known as "the wild one," student council president aide Riko. Brilliant, beautiful, just, and admired by all students as "Miss Fujisaki," student council president Maki. Shy, easily embarrassed, and clumsy, student council secretary Suzu. Charmingly thick eyebrows and fluffy hair, student council vice president Eno. Money-loving and coolly watching everyone study from behind her glasses, treasurer Sayo. When these unique members gather, they conduct the "Love Study Group"...?! 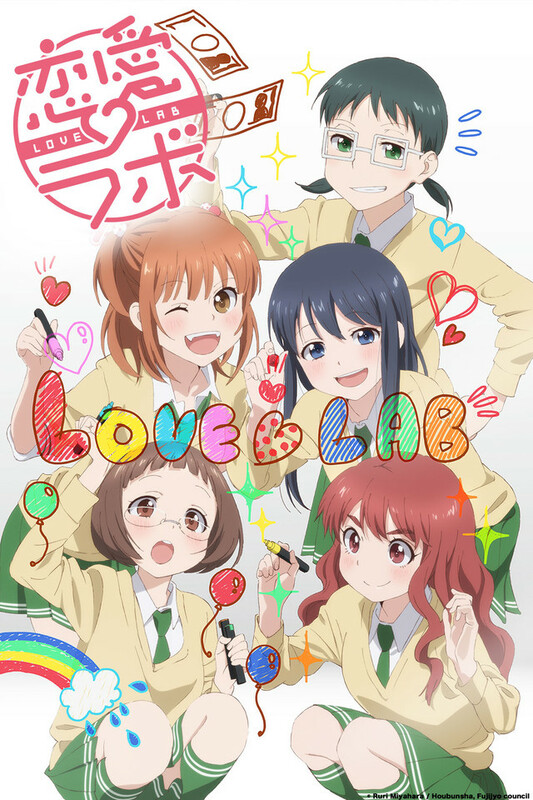 A popular serial in Houbunsha's "Manga Time Special," the unpredictable Love Lab of five girls in love with love is about to begin!